Yuma se Come A Bolivar. 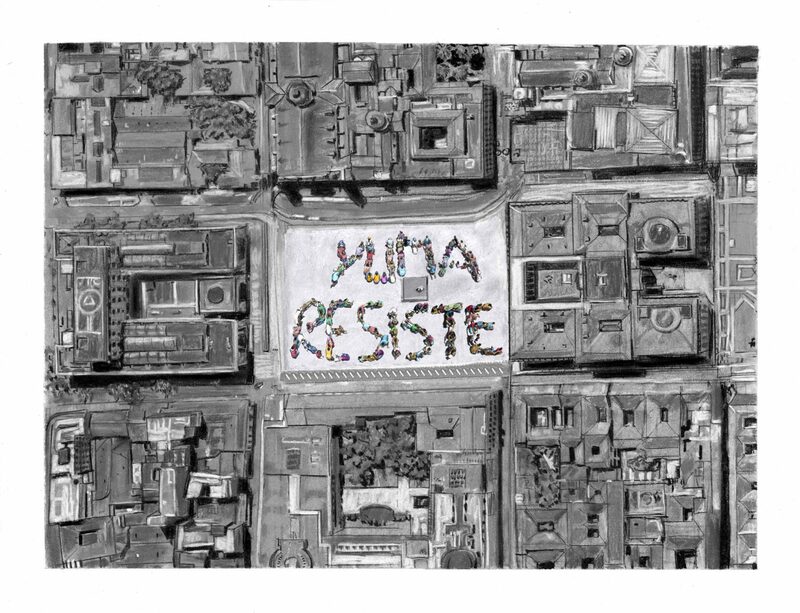 On Saturday, September 19, 2015 people in solidarity with communities affected by dams in Colombia, met in Bolivar Plaza de Bacatá to write with our bodies the word YUMA, the ancestral name of our Magdalena River. We flew a drone to record the action, but due to technical problems we lost the images. Yuma se Come A Bolivar is a drawing made as a memory of this action.